My boyfriend, Sean Boughton, worked late on Wednesday night so he passed on the chance to go to Soundgarden's show at Fox Theatre in Detroit. There's no way he could have known that this would be their last ever show with lead vocalist and guitarist Chris Cornell. "If I knew that was his last show, I would have shelled out hundreds of dollars for the tickets," said Boughton, who fell in love with Soundgarden when his high school economics teacher would play their music in class. "I'll miss the way he used to write and create. I've never heard another band that I've felt so deeply about as the bands he's been in." But the thing is, Wednesday night shouldn't have been Cornell's last show. He should've been playing into his 70s like Mick Jagger. Instead, after the show was over, Cornell, 53, hung himself in his hotel room, reports the Wayne County Medical Examiner’s Office. As I listen to "Black Hole Sun," I wish Cornell felt like he had something to live for — a feeling his music gave to so many others. Sarah Wojcik, a reporter at C & G Newspapers, said that Cornell's music made her feel like she wasn't alone during some of the loneliest and most depressed times of her life. "So many people are so sad about it. He died hours after a sold out show in his self-professed favorite city," she said. "The crowd adored him. I wonder if he had already made up his mind to do it and wanted to go out on a high note. Just so many questions. I wish he would've kept living because he was so brilliant and talented. He had a family and young kids. He had so many people that loved him." Michael Grosvenor of Union Lake, Mich. saw Cornell live three times in three bands — Soundgarden, Audioslave and Temple of The Dog. He most recently saw him with Temple of The Dog just six months ago at The Forum in California. "Having been a fan for 20-25 years, this news was terrible to wake up to, and I'm still in complete shock," he said. "He was the most versatile vocalist in rock music bar none." 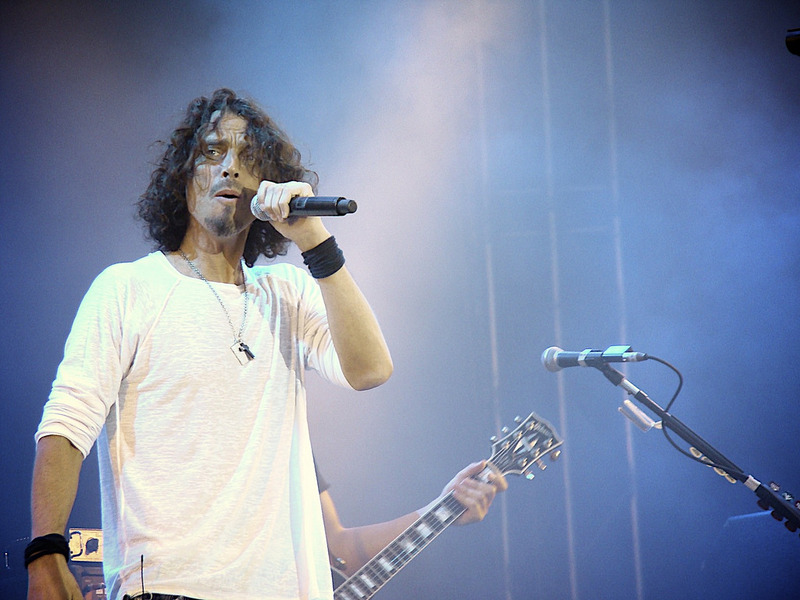 Cornell's wife Vicky Cornell told TMZ that there were no signs at all that her husband was suicidal or depressed. The only sign Cornell gave was during the last song he performed, where he reportedly sang the lyrics to Led Zeppelin's "In My Time of Dying" — In my time of dying, want nobody to mourn. All I want for you to do is take my body home. William Cyprian, saxophonist in the band Motor City Groove, said, "I want to say that we as musicians, but also as people, must look out for one another." "Though the signs may not be apparent, we have to do what we can to check up and love each other. A simple 'Hey, Just checking up on you' could mean the world to someone going through things they can't talk about. Maybe this applies, maybe it doesn't, but it is something to think about." Like Cornell's death, many times suicide is not preceded by warning signs. Annmarie Dadoly, former editor of Harvard Health, wrote, "Many suicides (estimates range from 30% to 80%) are impulsive, with just minutes or an hour elapsing between the time a person decides upon suicide and when he or she commits the act." There's no way anyone could have known that this was going on in Cornell's mind. It's no one's fault. But I wish that he would've given someone the chance to stop him. I wish Wednesday night was not the last time Cornell sang a note, played a guitar or talked to his wife on the phone. I wish there was more. Caitlin Renton, an Oakland University grad and resident of West Bloomfield, told me, "When someone seems like they should be on top of the world — great career, family, etc. — you never know what they're really going through." "This is exactly why it's so important to pay close attention to your friends and family no matter how busy life gets. Talk to them, ask questions and make sure they know you care." If you or someone you know is considering suicide, call Common Ground at 1-800-231-1127 if you're a Michigan resident or the National Suicide Prevention Lifeline at 1-800-273-8255.